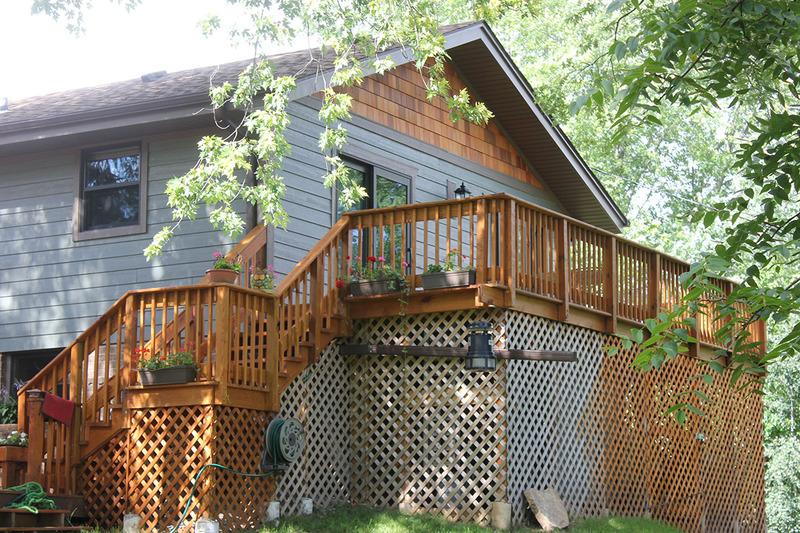 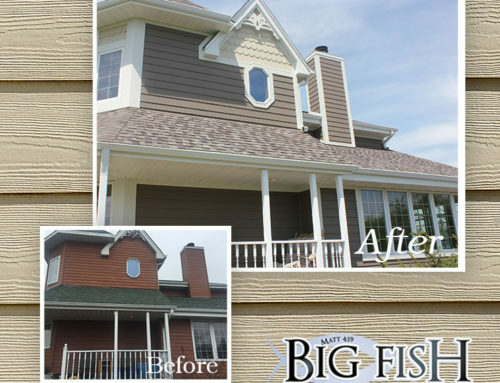 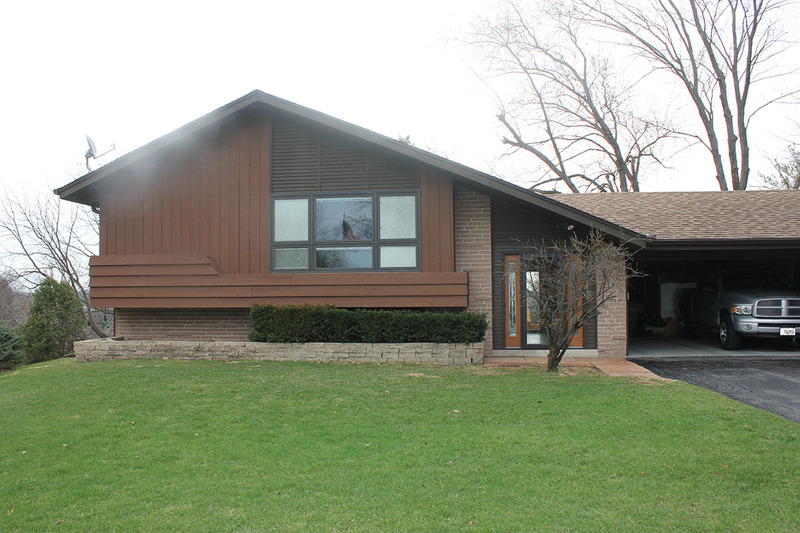 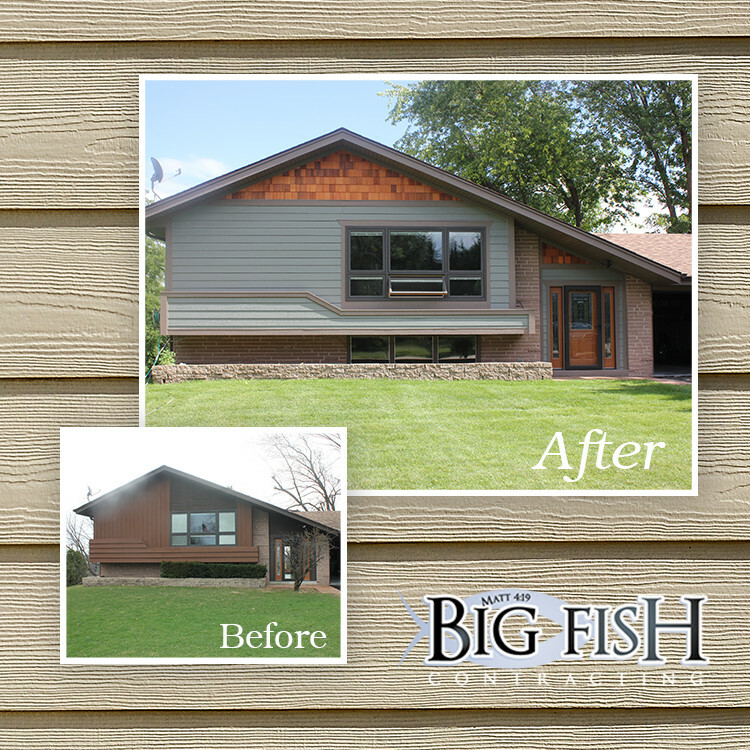 Big Fish Contracting had the privilege of transforming this 70’s bi-level in Waukesha to an updated modern version of its original self. 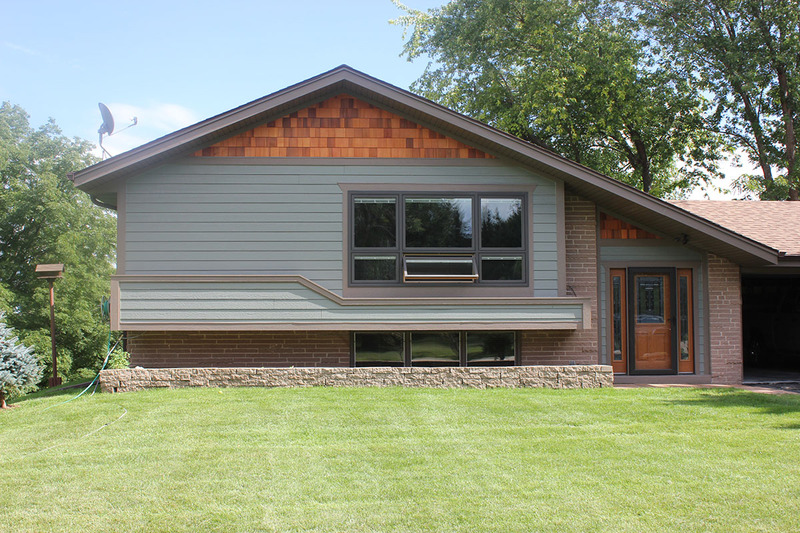 We love this project because we were able to keep the original antiquity of the house’s architectural style while updating the look and curb appeal. 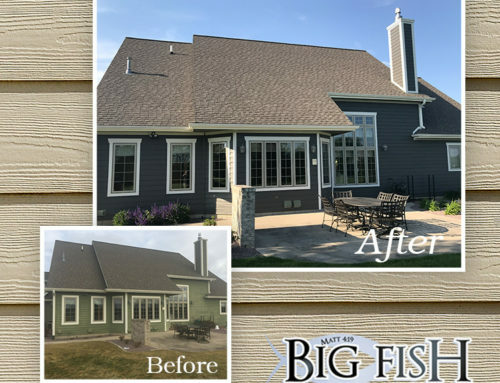 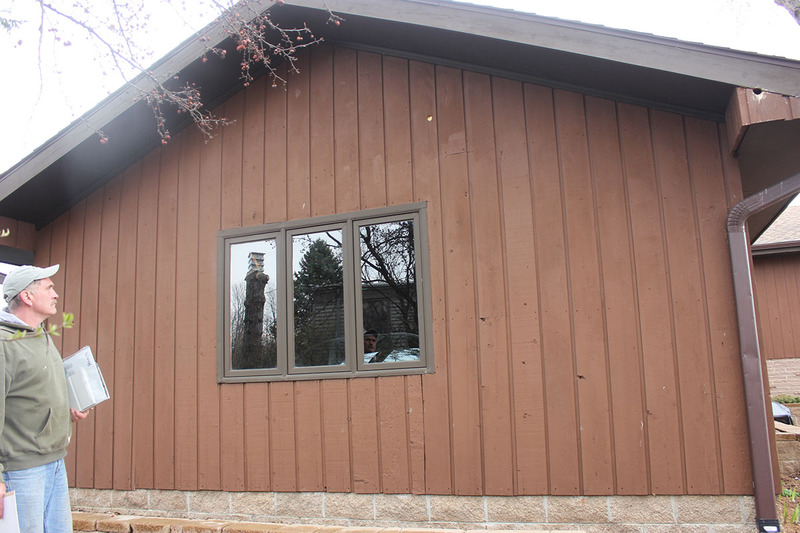 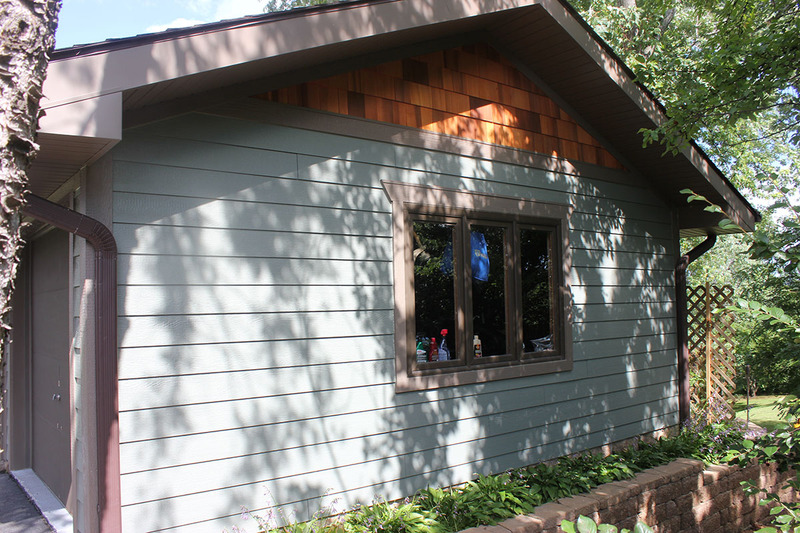 We tore off a vertical T1-11 paneled siding and install LP Smartside horizontal lap siding Pre-finished in Quiet Willow, with LP Smartside cedar strand trim in Rugged Canyon and used Shakertown Siding as an accent in the gables. 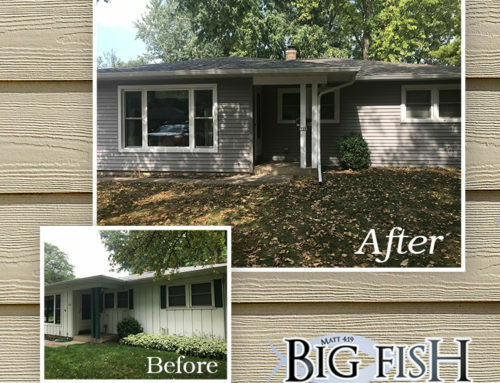 We rebuilt the flower box planter on the front of this home, installed a rubber roofing membrane in it and sided it with LP Smartside!